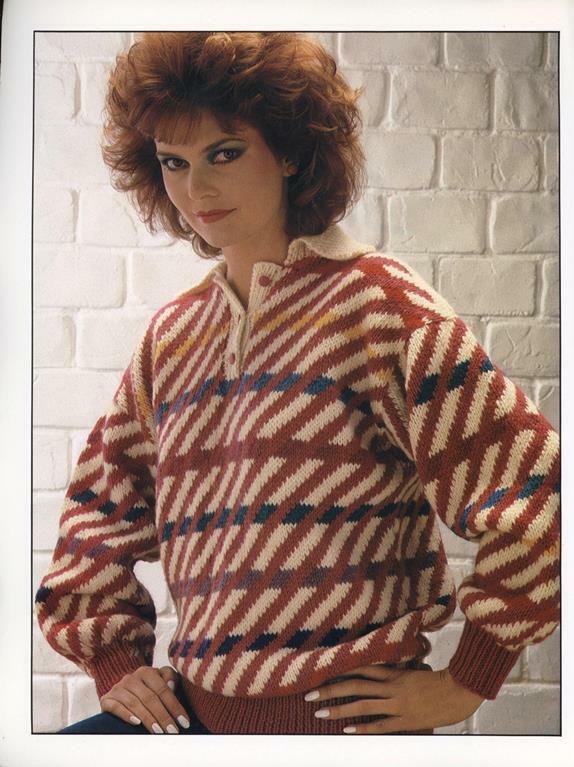 It’s the1980s and you can knit all the Cosby sweaters you want. Most of them aren’t too awful, but they definitely have the 80s vibe going. I’m still trying to figure out why the yellowish one has “tags.” As a knitting book, it’s not too bad. The diagrams and instructions are decent. 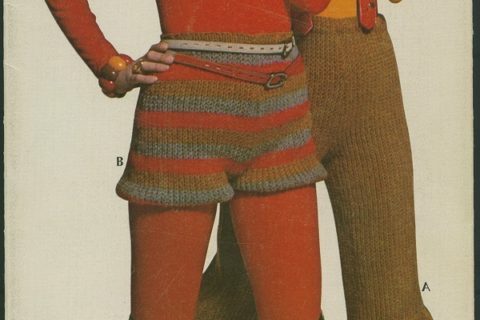 There is even a separate section on knitting basics. 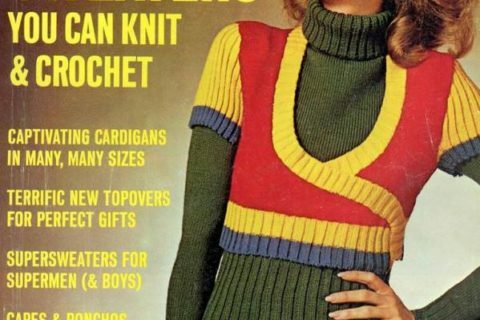 If your community is still rocking that 1980s sweater thing, keep it! I have this book! 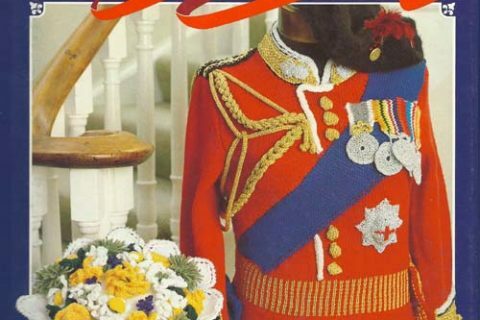 It’s a different cover because it’s the UK version, but I recognise the items. It was one of my first eBay book purchases way back at the beginning of this century! I must add that I have not made anything from it. Yet. 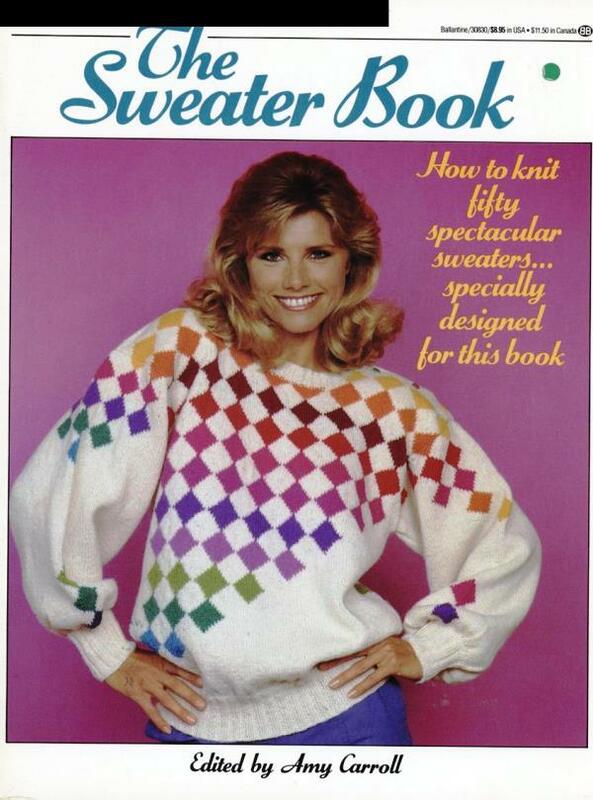 I’d wear the sweater on the cover, if the background where gray or black instead of white. The rest, ugh, no. Someone send this book to Beverly Goldberg of the ABC tv show! What defines a “cosby sweater”? I’m hoping it isn’t endorsement by a now felon. Ack, mohair is sooooo itchy. A “Cosby sweater” is like the ones the character Cliff always wore. Ugly Missoni type sweaters that cost about as much as a month’s rent on a cheap apartment. 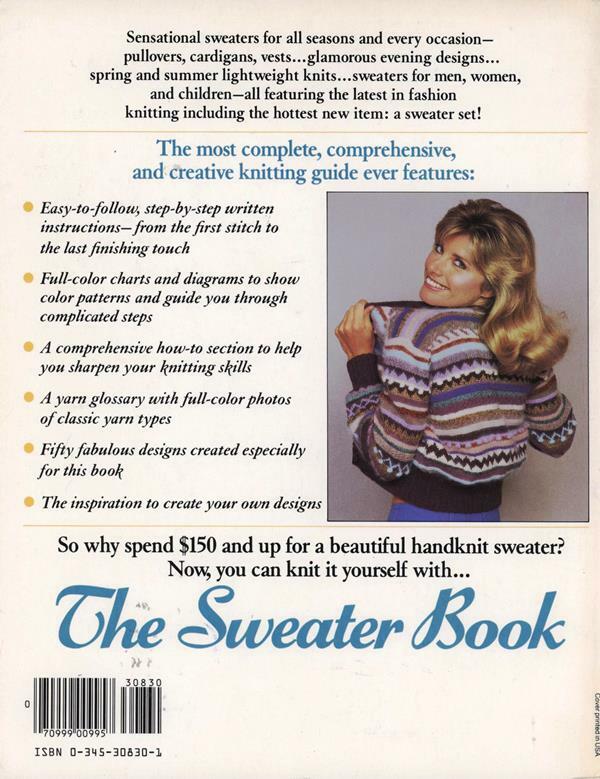 As I knitter this might not be the first book I pick up off the shelf, but I might check it out to use the patterns to make a similarly shaped sweater with other yarn (same guage) and/or colors (mostly fewer!). But I’m not sure I’m your average knitter when it comes to altering patterns (fairly average knitting ability but I little fear of going “off script”). The cardigan she’s showing the back of looks OK. 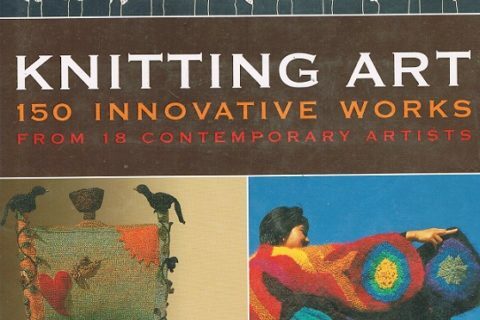 There are so many knitting books now that this one is pretty much only good as a laugh. Someone might buy it at a sale, but get it off the library shelves! 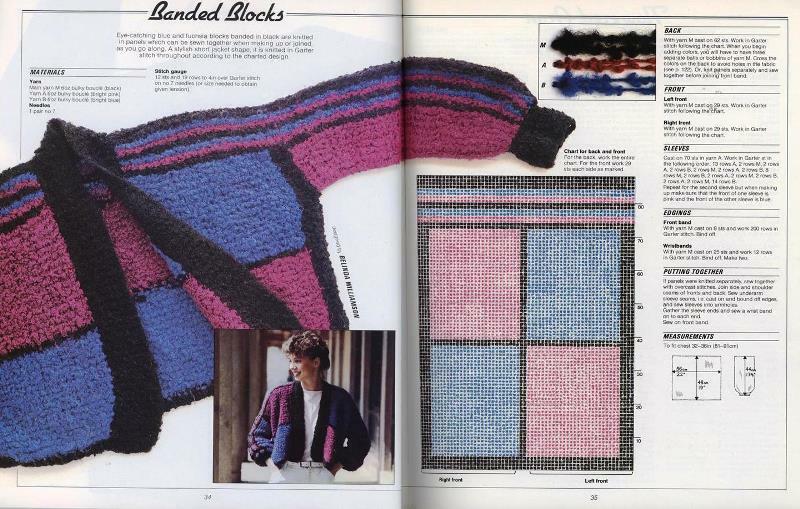 I’m so ’80s, I’d, like, totally still rock the blue and purple color-blocked one. 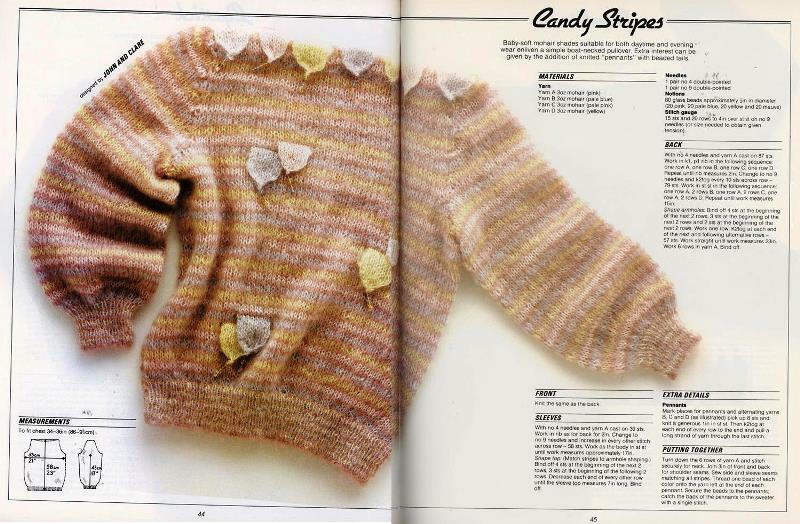 If you left the tags off the middle and neckline of the yellow “Candy Stripe”, it might be all right — certainly fine with fewer color changes. Also much easier to knit. The black one minus tassels would also be fine. Not a high enough percentage of goodness, though.